Clyde Barrow, 46, claims that he can eat baked beans without first opening the tin. He has performed this feat in front of spellbound audiences at fetes and shows across his native Lancashire, and as yet none of his critics has been able to deduce how the trick is done. Nevertheless, all is not well with Mr Barrow, who now finds himself banned from all but one of his local supermarkets, following a spate of unaccountable bean thefts. 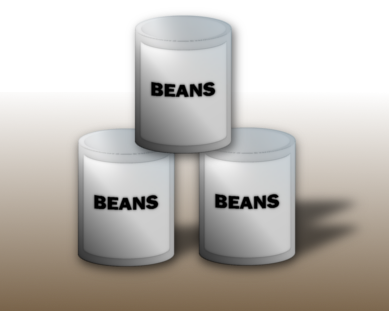 No evidence has been forthcoming to place Mr Barrow at the scene of these crimes, but the fact that so many empty bean tins have been found, with no sign of forced entry, means that there is enough circumstantial evidence to make him the number one suspect. We are reminded of a similar case from a few years back in which 35 year old Brian Clinton of Barrow-in-Furness claimed he was able to open tins without eating baked beans. Needless to say, this somewhat less than remarkable talent did not immediately catapult him to fame and fortune.